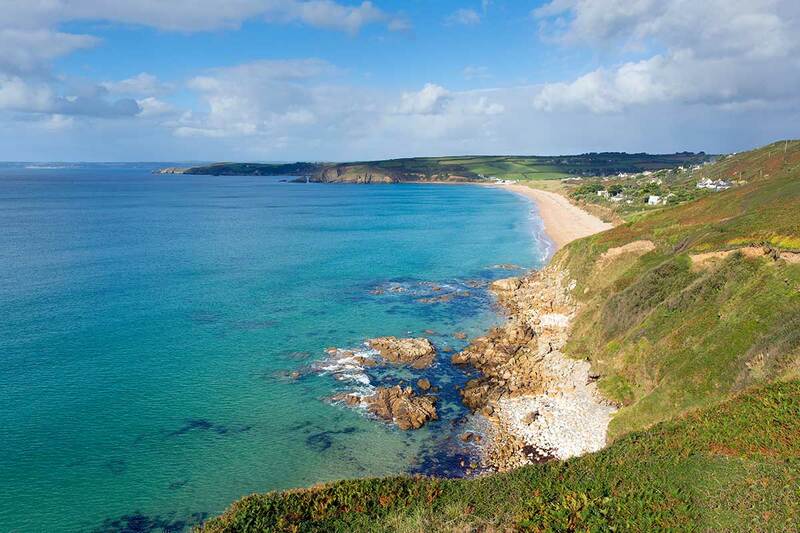 The village of Praa Sands is located roughly half way between the towns of Penzance and Helston and is famous for its mile-long sandy beach, which is popular with holidaymakers and surfers alike. Beautiful coastal walks can be enjoyed along the beach’s footpath — west to Kenneggy or east to Rinsey Head — and offer some of the best views in Cornwall. The village itself is in an ideal location from which to explore Mount’s Bay and the stunning Lizard Peninsula. The beach is a romantic stretch of coast and keeps all ages and generations entertained, whilst being easily accessible. It is backed with sheltering sand dunes and the Beachcomber cafe offers a range of drinks and snacks throughout the main holiday season. Praa Sands beach is a popular destination for surfers and is well known for its powerful waves. Local experts Global Boarders Surf School have their HQ on the beach and have declared it the perfect playground for all abilities and that is is ‘arguably the number one surfing destination on the south coast.’ The beach has seasonal lifeguards in operation so swimmers of all ages can have fun in the water. There are also some interesting geological and historical features along the beach — to the west lies Prussia Cove which is a sheltered, secretive inlet, once the haunt of John Carter, Cornwall’s most notorious smuggler. To the east is the high cliff scenery of Rinsey Head, with its impressive engine houses. A seasonal dog ban is operational on this beach.